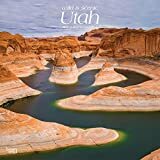 With dazzling desert landscapes, snow-capped peaks, cool rivers, deep canyons, and extravagant rock formations, Utah offers an endless range of breathtaking scenery. 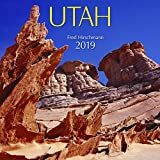 The colors and unsurpassed beauty of Utah’s many famed national parks and forests will inspire and amaze. 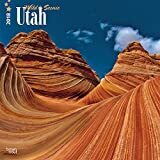 This magnificent Wild & Scenic Utah square wall calendar is a true feast for the eyes. 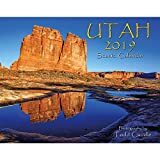 A beautiful, deluxe wall calendar featuring photography by award-winning photographer Todd Caudle! Spacious grid boxes for recording important dates and events! Spot gloss varnish on all photos to reduce ink transfer from one page to the next! Each monthly 2-page spread contains month-before and month-after calendars for quick reference. Year-at-a-glance views for each year alongside a “Dates to Remember” page for each year. Great Christmas gift, holiday gift, birthday gift, coworker gift, or gift for yourself!